The IRS waives the under-estimated penalty if you come within 10 percent of the correct payment. If you're earning money from an employer, you pay income taxes along the way through withholding. But if you also earn "non-wage" income, you may need to pay estimated taxes as well. Every three months, millions of people have to guess the right amount of money to send to the IRS to keep current on their tax bill. 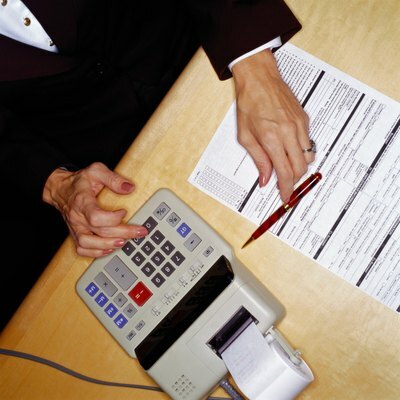 If you underestimate, there could be an IRS penalty for underpayment of estimated tax looming. 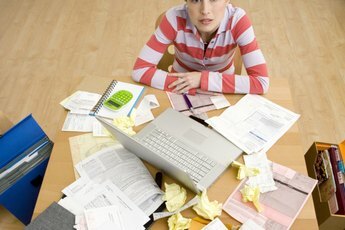 Paying estimated tax can be a challenge. Many freelancers and investors have only a vague idea of how much they're going to earn throughout the year and may not have the funds set aside to pay a hefty bill every three months. The result can be a big tax liability when you finally file on April 15 – as well as a penalty for underestimating the amount you were supposed to pay. Fortunately, the IRS grants a break to those who owe less than $1,000 in tax, or paid at least 90 percent of their tax liability through the estimated payments. But if you are sure you'll be found to have underpaid, the penalty often won't be huge. You can use a tax underpayment penalty calculator to try to estimate what you'll owe. 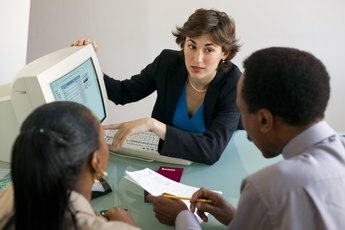 The IRS method for figuring the penalty on underpayment of estimated taxes is appropriately complicated and confusing. You must use Form 2210, and select either a Short Method or a Regular Method to make your estimated tax penalty calculation. You can use the Short Method if you paid no estimated tax or made equal payments of estimated tax in every quarter. In the Short Method, the IRS will guide you through determining your penalty for underpayment of estimated tax by determining your total underpayment for the tax year. You'll multiply that by 0.02660. If you paid that amount on or after the tax filing deadline, that will be your amount due. If you paid before the deadline, you multiply the total underpayment by the number of days you paid early and 0.00011 and subtract that amount from the previously estimated amount and its attached penalties. For the Regular Method, Form 2210 comes with detailed instructions – and you'll need them. Making the estimated tax penalty calculation using the Regular Method involves nine separate line entries, times four quarterly payment periods, as well as a detailed work sheet. 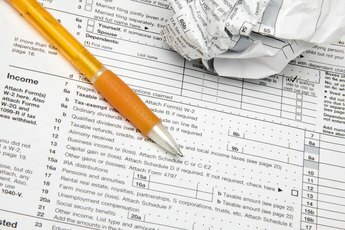 Taxpayers with a taste for spreadsheets and a good calculator might enjoy this chore, but if your underpayment is relatively small and your time is valuable, a better alternative is to allow the IRS to make the calculation using its own tax underpayment penalty calculator and send you the bill. If you're wrong, they'll be correcting your figures anyway. Some unfortunate taxpayers will not have the alternative of having the IRS figure their penalty for underpayment of estimated tax. The IRS requires you to calculate the underwithholding penalty yourself if you are requesting a waiver of the penalty, or if you are using the "annualized income installment" method, which is the alternative to using four equal quarterly payments. You'll then tax underpayment penalty calculator to determine the amount you owe. But you can escape the estimated tax penalty entirely if you failed to make payments due to a casualty loss or a natural disaster; or if you retired in the tax year or the year before, are at least 62, and can show good cause why you missed the estimated tax numbers. Once you've completed the calculation and paid the penalties for the previous tax year, it's time to prepare for the current year. You can use Form 1040-ES to estimate the taxes you'll owe and print slips to send in with your payments in April, June, September and January.